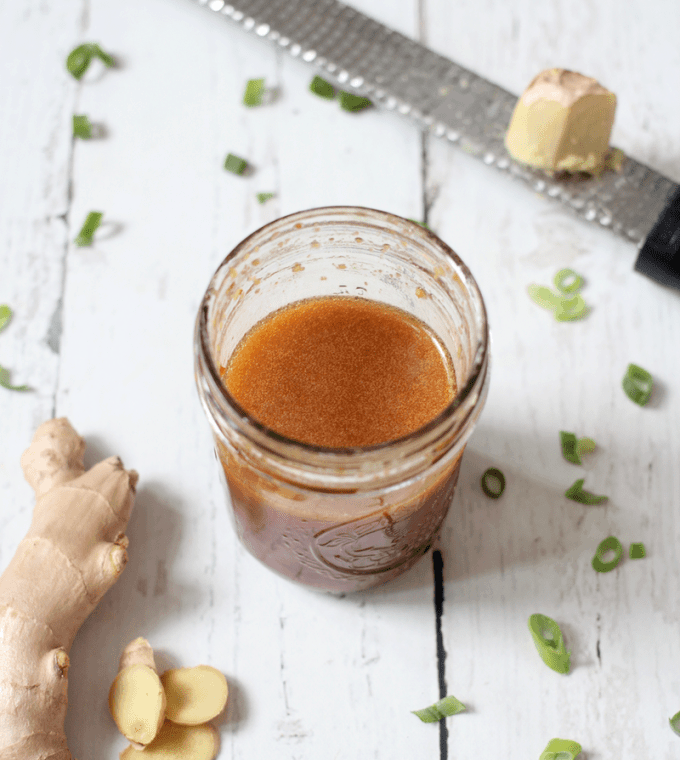 Homemade soy ginger dressing is just 5 ingredients and takes 5 minutes to put together! 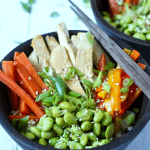 This delicious, easy recipe goes great with salads, grain bowls, vegetables and chicken dishes. Friends, I just gotta jump in and tell you this dressing is magical. It’s so simple and yet makes all.the.food taste amazing! 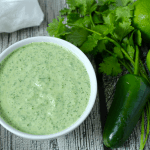 You need to introduce yourself and make friends with this dressing because you’re going to be seeing it around here a lot. 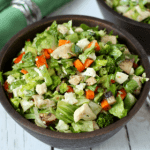 I use it on my Asian chicken chopped salad, my brown rice Buddha bowl and my brown rice edamame salad with carrots. 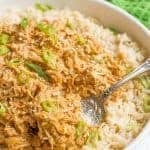 My husband also likes to drizzle this over some leftover brown rice, cooked ground turkey and spinach to take for lunch. He’s a smart man. We invent new ways to use it because it seriously just makes everything taste better! Plus, it’s only 5 ingredients and takes just 5 minutes to make! I really should start doubling the recipe so I always have some on hand in the fridge. I like to use these small jars for all of my homemade dressings, particularly when I’m just making a small batch to use right away. It’s so easy to add everything in and just shake it up. I prefer to use low-sodium soy sauce but you can substitute regular if that’s what you have. 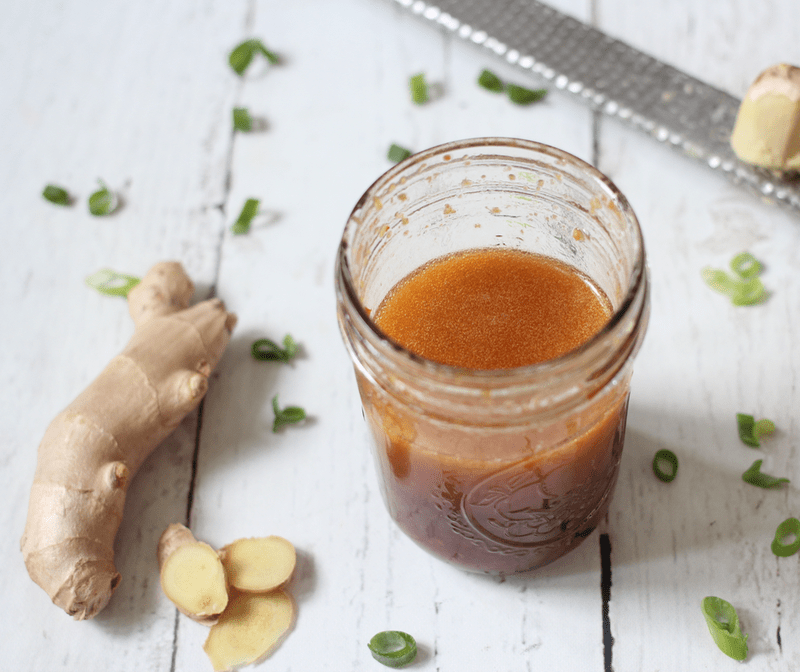 Fresh ginger adds great flavor to this, but you can substitute ground ginger. I do this in a pinch and it’s still delicious. Otherwise, just measure and shake and you’ve made yourself a delicious ginger dressing! 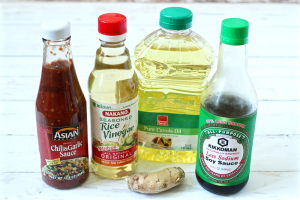 Salads, rice, vegetables, you name it, this soy ginger dressing recipe will bring a ton of flavor and an Asian flair to all your food. Plus, it just takes 5 minutes! Like I said, it’s magic. 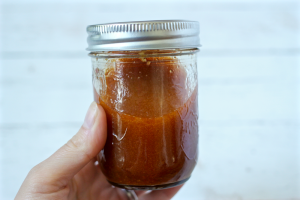 Mix yourself up a batch of this today and find your favorite way to use it. Enjoy! P.S. You may also want to try my homemade Italian dressing, creamy cilantro lime dressing and blender balsamic blueberry vinaigrette. 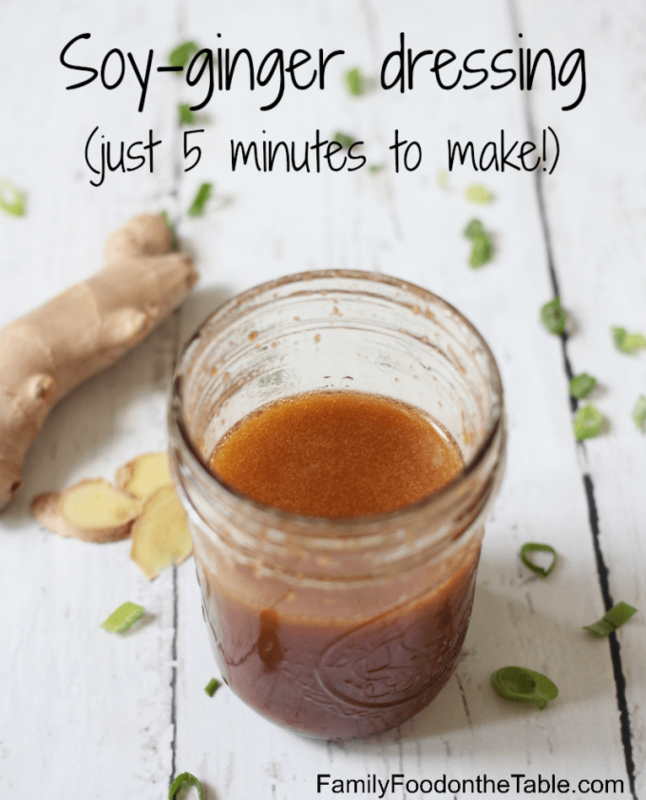 A delicious 5-minute homemade soy-ginger dressing, great in so many dishes! Add all of the ingredients to a small jar or container with a tight fitting lid. Cover and shake until everything is very well mixed. Pour and enjoy! You can sub about 1 teaspoon hot sauce and 1 teaspoon minced garlic for the chile garlic sauce if you prefer. This comes out with a bit of a kick, medium heat I'd say, so adjust to your spice level liking. Do you know the calories etc per serving? Hi Michele, I don’t calculate the calories for my recipes, but you could plug the ingredients into an online calorie counter to find out. Thanks for stopping by! I love these kind of dressings and this looks gorgeous! Of course I’m a sucker for Panera’s Asian salad! Thanks for sharing this with us on Throwback Thursday! Hope to see you next week! Thanks Mollie! 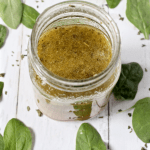 You will definitely love this dressing then – SO much great flavor and super easy to shake up! We are big fans of ginger! 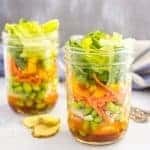 This dressing sounds so delicious, I can’t wait to try it. Thanks for giving me permission to use it in my roundup! I have Yummed and pinned this. Thanks so much Cynthia! I hope you give it a try! Canola oil is an unhealthy oil. Will try with olive oil and use coconut amino “soy” sauce instead. Maybe with a dash of sesame oil? Hi Jen! I think that would definitely work. Hope you enjoy it! This was for dinner tonight and I actually went back for a little more! My pregnant self has been super picky and it was so delicious. We did a few subsitutions. Used kale as the greens and only had apple cider vinegar so used a liiitle less of the measurement for rice wine vinegar. Then for the spicy chili and garlic sauce I used I guess a mounding 1/4 tsp of garlic powder and 1/2 tsp of Tabasco. DELICIOUS!!!!!! Will definitely be making again! I guess I also only had China lily soy sauce on hand but man was it good anyways! Kathryn would I be able to just use olive oil in the dressing next time? Oh I’m so happy you enjoyed it Kelly! And good notes on the substitutions – I’m sure that’ll be helpful to someone else, so thanks for sharing! Also, yes, you could substitute olive oil. It has a flavor to it, whereas canola oil is neutral, but I think it would work fine for this dressing. Have a great weekend!